On a Saturday morning in September 1953, Walt Disney stood over the shoulder of artist Herb Ryman as he sketched an idea for an amusement project that would appeal to both children and adults. Walt’s brother Roy was going to New York that Monday to line up financing for Disneyland and he wanted Roy to “show” them what he planned to build. Over a single weekend, which became known as the “lost weekend,” Herb used a small carbon pencil to illustrate Walt’s dreams on paper. Within two years, those dreams were transformed into reality and Disneyland became the first theme park of its kind in the world. Herb first met Walt Disney in Los Angeles at a gallery exhibit of his work. Walt was so impressed with the paintings on display that he invited Herb to join the Walt Disney Studio. While Herb went on to serve as an art director for such feature-length animated classics as “Fantasia” and “Dumbo,” Disneyland became the centerpiece of his Disney career. 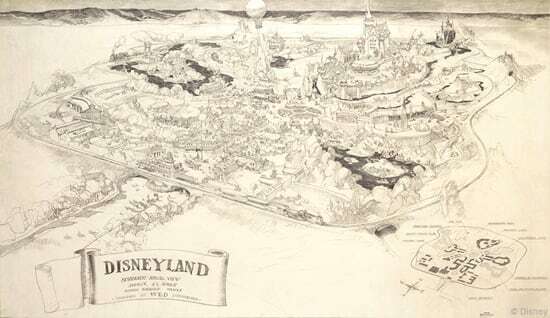 Among his contributions were designs for Main Street, U.S.A., Sleeping Beauty Castle and New Orleans Square. Herb also contributed concepts for the Jungle Cruise, Pirates of the Caribbean, and for attractions featured at the 1964-65 New York World’s Fair, including Great Moments with Mr. Lincoln. Herb retired in 1971 only to return a few years later as a full-time consultant, sketching numerous conceptual drawings for Epcot Center. His work for that park included detailed park renderings as well as inspirational paintings for The American Adventure and the China Pavilion, among others. He also developed the popular Hall of Presidents at Walt Disney World Resort and the Meet the World attraction at Tokyo Disneyland. Herb shares a window with two other talented Disney artists, John Hench and Peter Ellenshaw. 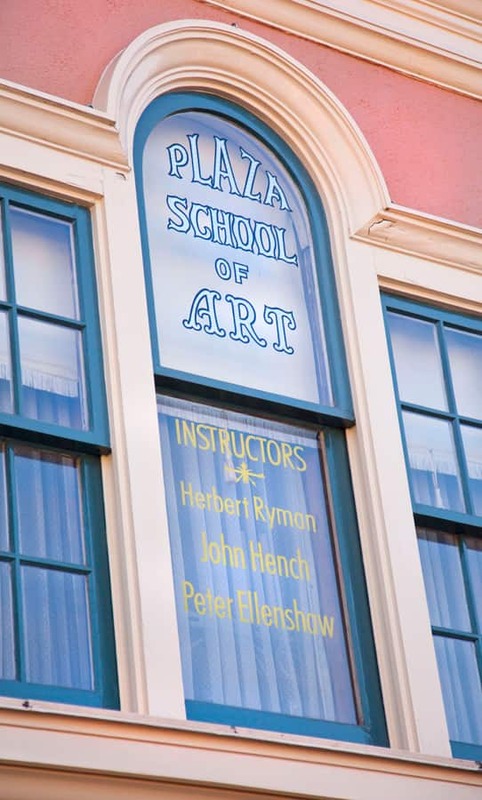 Their window, which simply states, “Plaza School of Art – Instructors,” is actually located on Plaza Street (adjacent to Main Street, U.S.A.) above Main Street Photo Supply Co.
Herb passed away on February 10, 1989, while still working on ideas for Disneyland Paris. He was named a Disney Legend in 1990. Jon – thanks again for such a great series. 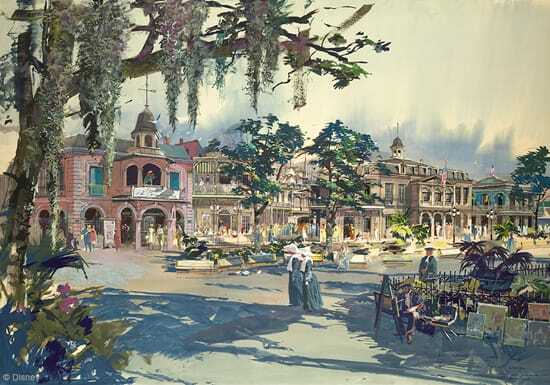 My most favorite Ryman painting is the one above for New Orleans Square with the two nuns. Its such a place-making setup for what it should be like in the park. My second is a poster of all four castles (at the time of the poster). Great art and a great artist! 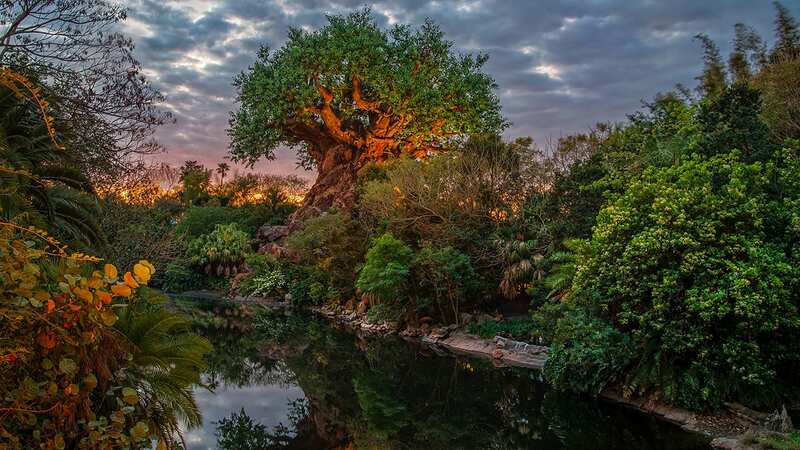 This is such a great post and Herb Ryman deserves every bit of the praise. I’ve read many interviews from a lot of Disney artists/animators and Herb is always spoken of as a great guy who would do anything for his friends and co-workers. When we’re in the parks we’re always looking for little connections to the past. We were lucky enough to sit in just the right seat at the Carousel of Progress one time. During the 1920’s scene as you look out the kitchen window, wouldn’t you know it, next to the Chinese Rest. sign is a sign for a lawyer, Herb Ryman, Attorney at Law. Those are the small things that make the Walt Disney parks such a great trip, time after time.